Last week, we were excited to introduce our new full-featured email marketing service, Marketing Campaigns, and now we’re thrilled to say that we have over 1k paying customers benefitting from its features. To build off of that momentum, we want to equip you with even more resources and tips (26 to be exact!) to make your email strategy successful in the new year. 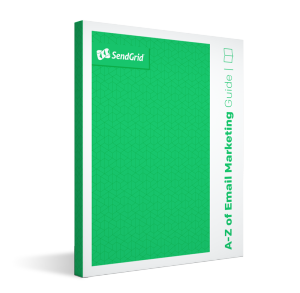 So our experts have compiled our top tips and tricks for 2016 in our new A-Z of Email Marketing guide. It guides you through key email marketing terms and concepts that not only set the foundation for your email program, but also enhance your current practices. Each letter serves as a checklist to reference before you next hit “send” and also points you towards additional SendGrid resources for more in-depth learning. 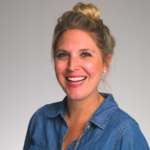 With email marketing being one of your strongest channels for ROI and customer acquisition, the more informed you are about proven best practices, the more return you’ll see. So from A (Audience) to Z (Zone In On Your VIP Recipients) and every letter in between: G (Give Before You Take), N (Not all Designers are Email Designers), P (Permission Marketing), let these lettered tips serve as a stepping stone to stepping up your email game in 2016.